A vaccine is a biological preparation that provides active acquired immunity to a particular disease. A vaccine typically contains an agent that resembles a disease-causing microorganism and is often made from weakened or killed forms of the microbe, its toxins, or one of its surface proteins. The agent stimulates the body’s immune system to recognize the agent as a threat, destroy it, and to further recognize and destroy any of the microorganisms associated with that agent that it may encounter in the future. Vaccines can be prophylactic (example: to prevent or ameliorate the effects of a future infection by a natural or “wild” pathogen), or therapeutic (e.g., vaccines against cancer are being investigated). Feed Additives usually refers to a substance or object which is mixed in an early stage in the manufacturing and distribution process. Aquatic veterinary medicines are substances or compounds originating from animals, plants, microorganisms, minerals, chemicals and biological products used for prevention, diagnosis and treatment or restore, regulate, improve the functions of the aquatic animal body. Good Manufacturing Practices (GMP, also referred to as ‘cGMP’ or ‘current Good Manufacturing Practice’) is the aspect of quality assurance that ensures that medicinal products are consistently produced and controlled to the quality standards appropriate to their intended use and as required by the product specification. GMP defines quality measures for both production and quality control and defines general measures to ensure that processes necessary for production and testing are clearly defined, validated, reviewed, and documented, and that the personnel, premises and materials are suitable for the production of pharmaceuticals and biologicals including vaccines. GMP also has legal components, covering responsibilities for distribution, contract manufacturing and testing, and responses to product defects and complaints. Specific GMP requirements relevant to classes of products such as sterile pharmaceuticals or biological medicinal products are provided in a series of annexes to the general GMP requirements. Through management philosophy of transparency, consistency and equity, in order to ensure sustainable growth, the company has built a team of professional staff ready to serve with the goal of bringing the best benefit farmers, distributors and suppliers. Commitment to be responsible to the end of our product, safety for humans and livestock and without harming the environment. Honesty, transparency, consistency and fairness. The best benefits to stakeholders in the value chain. 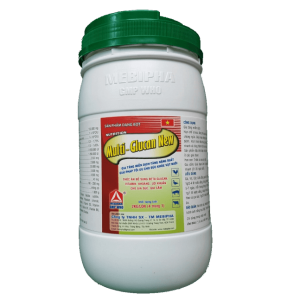 Mebipha is the brand built on core values for the sake of community and public health. We always pay attention to the material life as well as spirit of employees, participate in charitable activities to contribute to building community and society. © 2019 Thuốc thú y và Thủy sản Mebipha. All Rights Reserved.